Good Behavior: Has been quite the tossup since midseason. It premiered lower after a timeslot move, and fell after bad episodes in the first half. However, ratings for the second half of the sophomore season were stronger, and it climbed to a season high (and beat the first season finale) for its finale rating, showing some chance of life and a renewal. It's undoubtedly a cheap to produce show, which bodes well for it. Some other factors to help its case are that it is an in-house production (something networks love), it has a Hulu deal, and TNT seems to really love it themselves. Also, it's finale 0.22 was pretty close in the ratings to what Major Crimes, The Last Ship, and The Librarians have begun to pull (they range from 0.20-0.28ish) so, it's not like it's totally flopping way below the pact. It's a major tossup to predict, however, TNT has sent out a season survey to ask viewers what they liked and didn't like, saying responses can "shape the show", but if the show is done, how can responses shape the show? 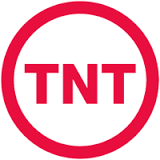 It should be noted TNT has not done this for any other show before. I'm slightly leaning towards a renewal at TCAs in January, but it truly could go either way. Happy! : Syfy's hits are far and few nowadays. Happy! premiered to a shockingly high and strong 0.40, before falling a hefty 0.23 to a 0.17 for weeks two and three. 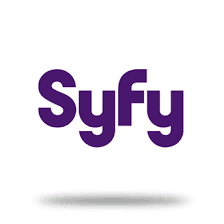 While the drop was unfortunate and not good, a 0.17 is still respectable for Syfy and should keep them happy for a couple more seasons. Renew. What do you think of the predictions? What are your predictions? Let us know in the comments below, and Happy Christmas Eve!